Come August, the days are over when I can just grab a pair of garden scissors and cut a bunch of picture-perfect flowers for a vase or a flower arrangement. Late-summer bloomers like zinnias are often covered with powdery mildew. Sunflowers, which bloom into October, don’t survive the voracity of the rabbits unless I protect every single stem with hardwire cloth. And, I am not too wild about dahlias, asters, and chrysanthemums. 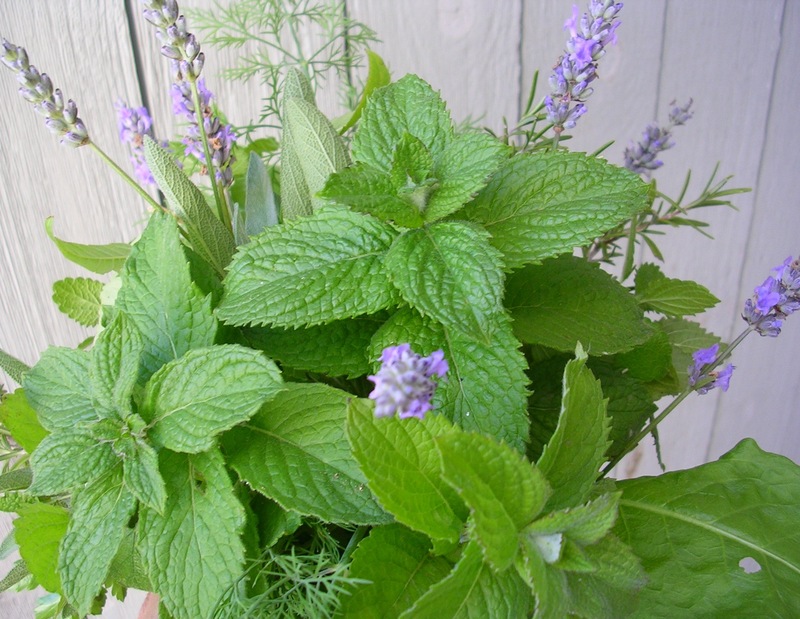 Roaming around I found that a bunch of herbs is the best I can do right now: mint, sorrel, lavender, lemon verbena, lemon balm, dill, rosemary, sage, and parsley. The herbs are still a lush green, their last big outburst of energy before shutting down for the winter, or dying. Having supplied my kitchen with wonderful flavors and scents for the last six months, they indeed deserved to be the centerpiece on the dining table on this gorgeous fall day.